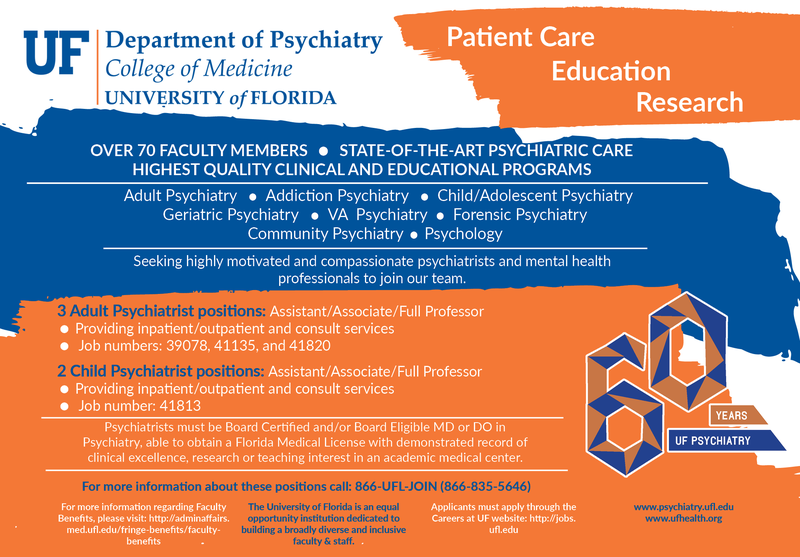 The Department of Psychiatry at the University of Florida College of Medicine is one of the largest multifaceted psychiatry programs in the United States centered within a major academic health center. 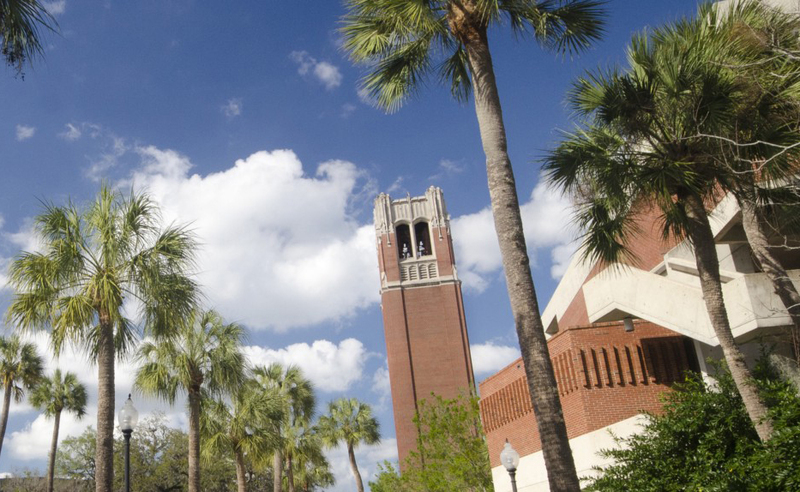 The Department of Psychiatry currently has approximately 70 faculty members, 40 residents and 15 fellows including child and adolescent, forensic and addiction fellowships, with office settings in 10 facilities. 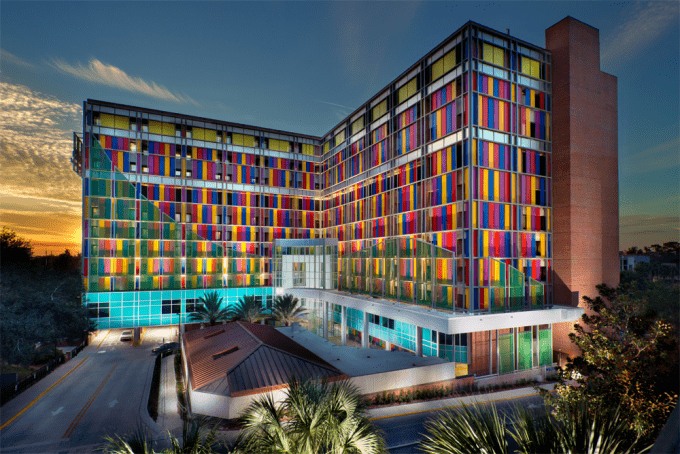 Inpatient services have a total of 91 beds available and cover multiple specialties including addiction, adult, geriatric, child and adolescent, adolescent eating disorders and neurostimulation. A wide range of outpatient services are offered in several convenient locations and serve the entire age spectrum from preschool children to seniors.